London, 1941, at the height of the Blitz. A mysterious cylinder is being guarded by the army, while homeless children, living on the bomb sites, are being terrorized by an unearthly child. The Child’s plague is spreading throughout wartime London, and its zombie army is on the march. 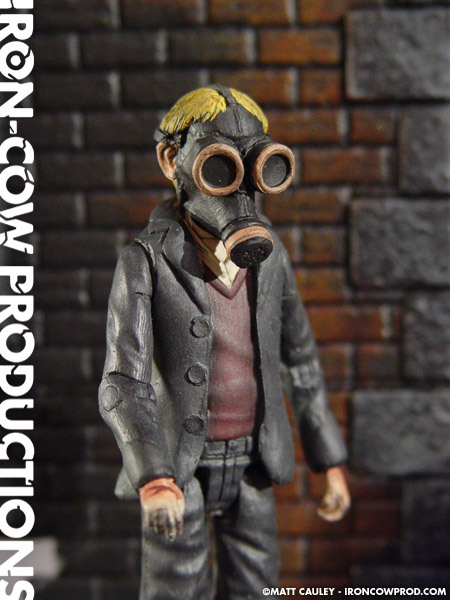 The EMPTY CHILD action figure is a heavily reworked Charlie figure from the recent “Charley and the Chocolate Factory” remake. I repositioned Charlie’s arms to make the pose more menacing, and spliced in shins from an X-Men Evolution STORM figure. 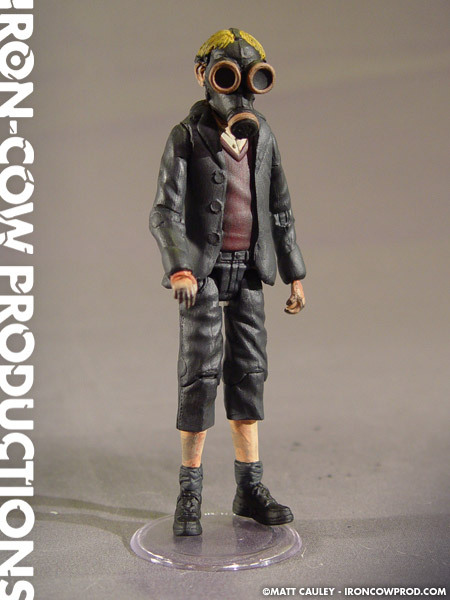 The jacket is reworked vinyl, while the gas mask is reworked from a McFarlane Psycho Mantis figure. The head itself is created with Magic Sculpt. The EMPTY CHILD action figure stands 4 1/2″ tall and features 6 points of articulation.